Inspectors and technicians moving about in attics, handling machinery, and TAP Pest Control Insulation should always follow safety guidelines specific for their activity. Attic temperatures can easily exceed 100°, so always be sure to keep attic technicians hydrated with sports drinks and water and give adequate cooling breaks. When handling machinery, always follow the manufacturer’s guidelines. It is also strongly recommended that temporary walk boards and bump hats be utilized when moving about in an attic. Wet the insulation prior to placing it into the insulation blower. Wear personal protection equipment (PPE) including rubber gloves. Avoid dragging the insulation hose as you install the product. Always stand on a safety platform or Joistmate® to avoid falling through the ceiling. Taking the extra steps as a precaution to protect yourself and your colleagues each time you find yourself on the job site. In 2015, OSHA issued a new standard for working in confined spaces. Confined spaces are those spaces which are difficult to enter and exit and can contain physical and atmospheric hazards that should be mitigated or eliminated prior to beginning work. Employers must evaluate all confined spaces such as an attic or crawl space in which their employees work to determine whether hazards exist or whether the work to be done in the space can create hazards. The vast majority of confined spaces where TAP Pest Control Insulation or ComfortTherm Crawl Space Insulation is installed can be mitigated and safely avoided with proper preparation, awareness, caution, tools and equipment. 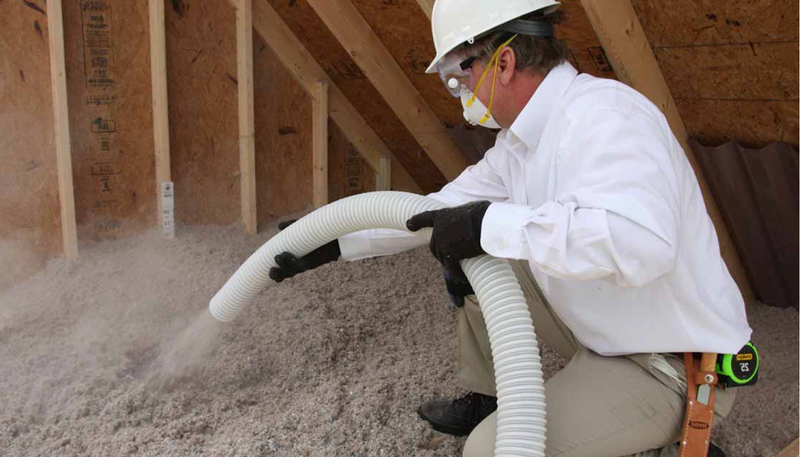 Pest Control Insulation encourages you to conduct a thorough attic inspection prior to entering any contract with a homeowner to ensure the safety of your employees and the protection of the homeowner’s property. When in doubt, review the OSHA Small Entity Compliance Guide. Employees that may encounter and/or enter a confined space are trained on entry procedures and made aware of possible hazards (i.e., falling through the ceiling, tripping on floor joists, colliding with a rafter) that may be encountered in the performance of their job. Employees identify potential hazards prior to entry into a confined space. Proper personal protective equipment is provided and worn prior to entry into a confined space. Proper tools and equipment are provided and used prior to entry into a confined space. Employees enter a confined space and continuously monitor for hazards. Employees that define a permit required hazard which cannot be controlled and prevents safe entry must report this finding to their immediate supervisor and shall not enter the confined space without an attendant. Employees implement the permit required confined space program in order to enter the confined space. Be aware of the risks that may occur within a confined space. Make sure the person doing the work is capable and trained in both the work and the use of any emergency equipment. Work in confined spaces unless it’s essential to do so. Ignore the risks – just because a confined space is safe one day doesn’t mean it will always be.